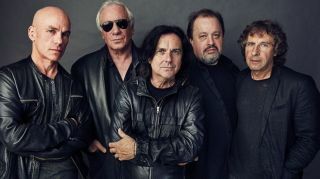 Marillion, Flying Colors and Anathema are among the first wave of bands announced for next year's Yes-led Cruise To The Edge. Next year's Cruise will take place between March 27 and April 1, sailing from Miami to Harvest Caye, Belize and on to Roatan, Honduras before returning to Miami. Alongside Marillion, Flying Colors and Anathema, a reformed Saga have also been announced, along with Riverside, Moon Safari, Simon Phillips' Protocol, Italian prog rock legends Le Orme, The Flower Kings, Gong and Marbin. No details on prices for next year's Cruise have yet appeared on the Cruise To The Edge website as yet.